Along with Windows 8.1, Microsoft today launched new Microsoft Remote Desktop apps for iOS and OS X, designed to give users access to a Windows PC via RemoteFX on their Macs, iPhones, and iPads. 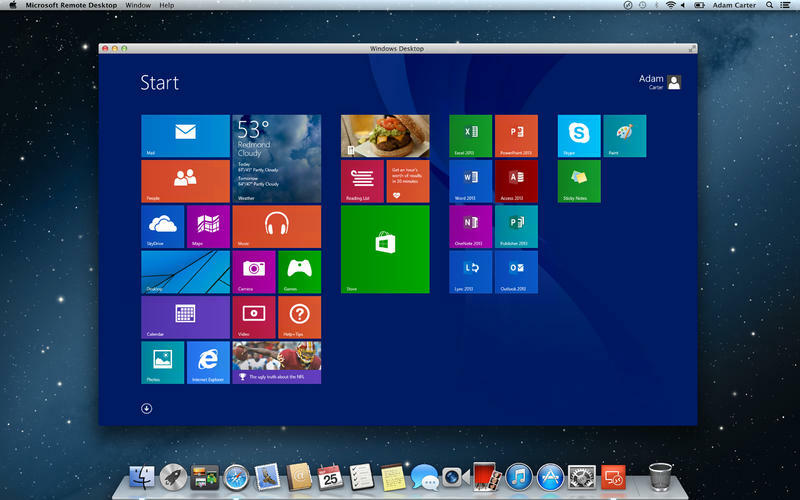 News of a potential Remote Desktop app for Apple devices first surfaced last week. The iOS app offers a secure connection to data and applications through NLA technology along with multi-touch capabilities. It supports high quality video and sound streaming and connects to external monitors or protectors to for presentations. The Mac version also includes the ability to access local Mac files from Windows applications and printer capabilities. In addition to Remote Desktop tools for iOS and OS X, Microsoft is said to be developing similar tools for Android and Windows RT. Earlier this month, former Microsoft CEO Steve announced that the company also plans to expand its iOS offerings with an iPad version of Office to be released after the launch of the next major version of its Office suite.